Sometimes there are artists working on-site in a little studio as part of the Artist Sketch Program. 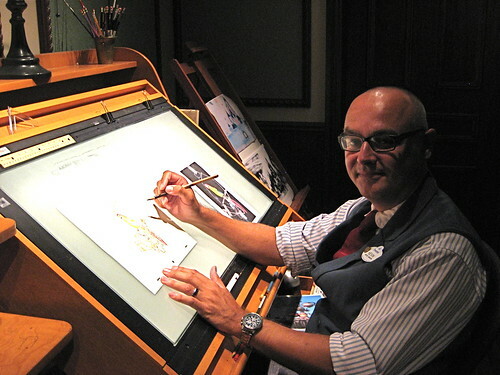 Guests can peek over their shoulders as they draw at the drafting desk, which is located on the right once you pass through the gift shop. 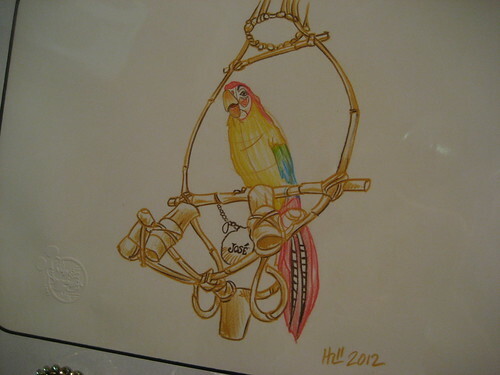 I was told that they had recently started offering a new set of designs featuring “Park Icons,” including this colorful one of Jose from The Enchanted Tiki Room. On the ledge there is a sketch program catalog where you can see examples of the other dozens of images the artists can draw for you. The Jose cartoon is listed at $35, and the prices go up from there depending on the design. I never knew the pictures were so reasonable. I’ll have to check it out when I go this weekend. Maybe the tiki display will be up in time for Tiki Day at Disneyland on September 23rd. 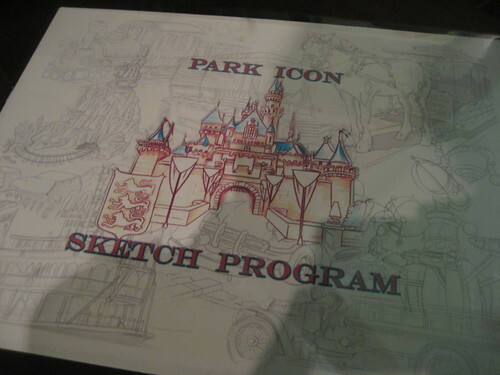 The Disney blog says this exhibit will run through early next year so looks like we’ll have to wait awhile. Tiki Day will be quite a sight. I wouldn’t want to try to go to Trader Sam’s that day! ← Giveaway – Win a 1961 Hawaiian Islanders XL T-shirt!